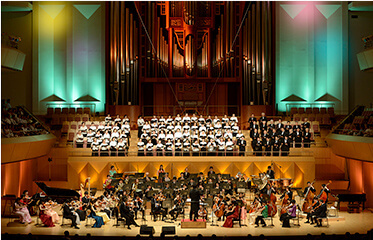 Kanagawa Philharmonic Orchestra was established in 1970. In 1978 it was authorized as an incorporated foundation and 2014 as a public Interest Incorporated Foundation by the prefectural government. 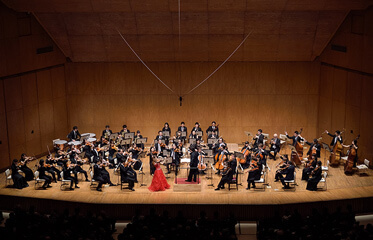 With their mission to active music culture in Kanagawa, the orchestra has been actively performing within the prefecture. 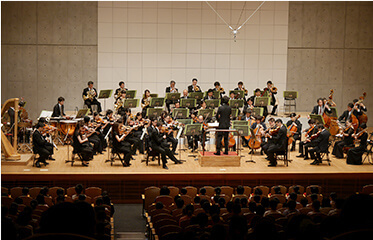 In addition to numerous special concerts in various venues in Kanagawa, performances for ballets, opras, recordings, enthusiastic activity for schoolkids are also highly valued by audiences as to engage next generation to the attraction of music. 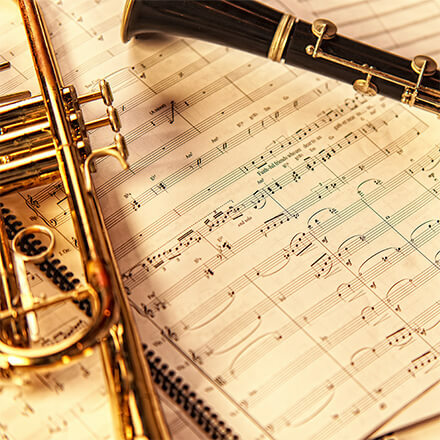 It was rewarded Ando Tametsugu Education Memorial Foundation Prize(1983), Kanagawa Cultural Award(1989), NHK local broadcast cultural prize, Yokohama Cultural Award(2007). Currently, Its activity over internet and social network services is also appreciated and focused on newspapers quite a few times. 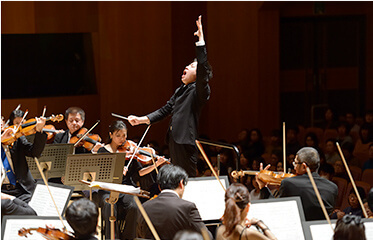 Shigeo Genda is appointed as Honorary Conductor, Hiroshi Koizumi as Special Guest Conductor and Kentaro Kawase as Principle Conductor.